stunning ocean views within luxury accommodation. We offer 4 types of beautiful accommodation from our spacious two storey Apartments, with one, two and three bedroom configuration to Pool & Ocean View Studios with free in room Wi Fi. Then there are Ocean View Studios, with all these categories featuring contemporary decor, inclusive of luxury spa baths, leather lounge sofas, LCD TV’s and much more! And for economy there are Suites ideal for conference/group bookings or an inexpensive getaway that enables the use of all the resorts facilities. The Bluff Resort offers the use of an Outdoor Solar Heated Swimming Pool with Poolside BBQ/Outdoor Dining facilities for all our in house guests to enjoy during their stay. Please Note: NO PETS are allowed at our property. 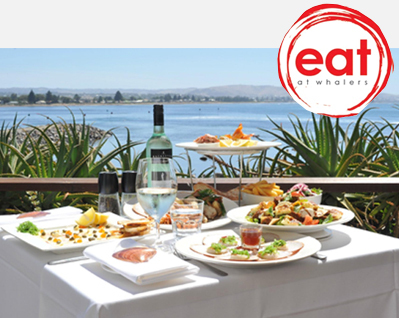 Call now to arrange a Gift Voucher for that special someone or next special occasion! You’ll have access to free WiFi internet throughout the complex to keep up to date, check your emails or simply keep the kids entertained. Usage policy does apply. All apartments, studios and suites feature Foxtel with 8 channels of free pay TV to choose from as well as all free-to-air TV channels. Most of the apartments also included an in-room telephone with room to room dialing, outside call access, voicemail and wake up call features. Breakfast Hampers available to order. A generous supply of cooked and continental provisions to self prepare in your room. 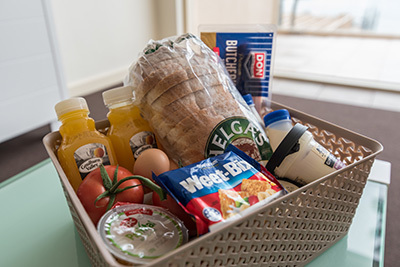 Order your hamper now ready for your next stay here with us at the resort. 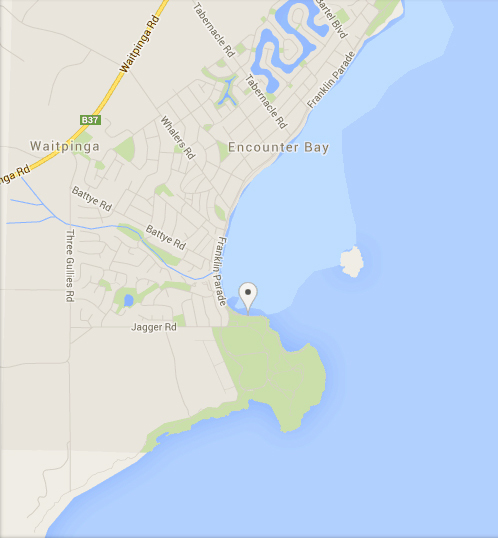 Located within Encounter Bay, Victor Harbor over looking South Australia’s stunning Fleurieu Peninsula. The Fleurieu offers plenty of things to do and see, like catching a ride on the Steam Ranger, get up close and personal with a koala at Urimbirra Wildlife Park. Or take the horse drawn tramway across to Granite Island and visit the fairy penguins and much more.